The short-beaked common dolphin is one of three species in the Genus Delphinus (in addition to D. capensis or the long-beaked common dolphin and the endemic D. tropicalis in the Indian Ocean). The species has a characteristic slender body shape combined with a relatively long beak, which is sharply separated from their forehead. Their colour pattern usually involves a dark back and white underbelly, and an hourglass pattern coloured light grey and yellow on each side of their body. Adult common dolphins can reach up to 2.7 metres in length and 135 kg. As very social animals, they are usually found in groups of 10-15 animals, which often join up to form schools of several hundred to several thousand individuals. They are fast swimmers and sometimes approach moving vessels to bow-ride. Aerial behaviour typical of them includes “pitch polling” where dolphins leap high vertically and fall lengthwise back into the water. Common dolphins feed on various small mid-water fish and squid. Their diet varies with the season as well as by region. Common dolphins are typical oceanic dolphins and live in the tropical to warm temperate zone. They are often associated with schools of other whales and dolphins, such as pilot whales for example. In the ASCOBANS area they are normally restricted to the southwest of the British Isles and the English Channel. According to the SCANS II Project, about 75,000 individuals inhabit this region. Common dolphins die in large numbers in purse seine fisheries in the eastern tropical Pacific and in gillnet fisheries around the world. In the Celtic Sea and Bay of Biscay, it suffers incidental capture in fishing gear from multi-national pelagic trawl and drift net fisheries. In addition to bycatch, they are increasingly threatened by marine pollution, underwater noise and habitat loss. Northern East Atlantic Fair 75,449 Project Report: Review of Trend Analyses in the AS [more] The population size estimate is based on data collected during SCANS-II (2005) and CODA (2007) surveys. See the previous Trend Analysis document for more details. SCAN-II and CODA reports can be found in the additional notes section. Common dolphin abundance was concentrated off the coast of Ireland, in the Celtic Sea and western Channel, and the coasts of Spain and Portugal. Central East Atlantic Fair 167,216 (SCANS-II = 50,507, CODA = 116,709)* Project Report: Review of Trend Analyses in the AS [more] The population size estimate is based on data collected during SCANS-II (2005) and CODA (2007) surveys. See the previous Trend Analysis document for more details. SCAN-II and CODA reports can be found in the additional notes section. Common dolphin abundance was concentrated off the coast of Ireland, in the Celtic Sea and western Channel, and the coasts of Spain and Portugal. *Note: the estimated population size is for the whole survey area and not just for the Central East Atlantic. The separate estimate for this region is not available. Bay of Biscay Fair 167,216 (SCANS-II = 50,507, CODA = 116,709)* Project Report: Review of Trend Analyses in the AS [more] The population size estimate is based on data collected during SCANS-II (2005) and CODA (2007) surveys. See the previous Trend Analysis document for more details. SCAN-II and CODA reports can be found in the additional notes section. Common dolphin abundance was concentrated off the coast of Ireland, in the Celtic Sea and western Channel, and the coasts of Spain and Portugal. *Note: the estimated population size is for the whole survey area and not just for the Bay of Biscay. The separate estimate for this region is not available. Northern North Sea Fair 167,216 (SCANS-II = 50,507, CODA = 116,709)* Project Report: Review of Trend Analyses in the AS [more] The population size estimate is based on data collected during SCANS-II (2005) and CODA (2007) surveys. See the previous Trend Analysis document for more details. SCAN-II and CODA reports can be found in the additional notes section. Common dolphin abundance was concentrated off the coast of Ireland, in the Celtic Sea and western Channel, and the coasts of Spain and Portugal. *Note: the estimated population size is for the whole survey area and not just for the Northern North Sea. The separate estimate for this region is not available. Inner Danish Waters Fair 167,216 (SCANS-II = 50,507, CODA = 116,709)* Project Report: Review of Trend Analyses in the AS [more] The population size estimate is based on data collected during SCANS-II (2005) and CODA (2007) surveys. See the previous Trend Analysis document for more details. SCAN-II and CODA reports can be found in the additional notes section. 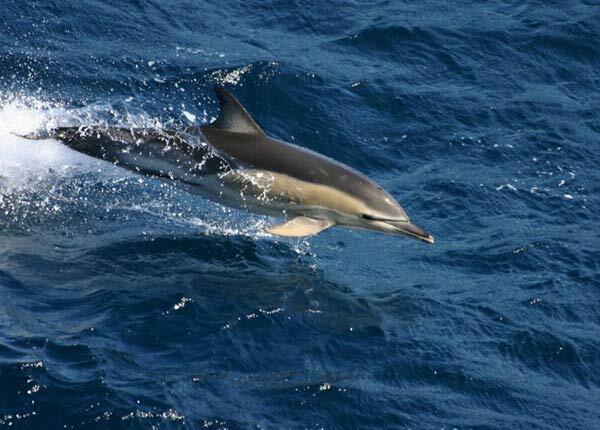 Common dolphin abundance was concentrated off the coast of Ireland, in the Celtic Sea and western Channel, and the coasts of Spain and Portugal. *Note: the estimated population size is for the whole survey area and not just for the Inner Danish Waters. The separate estimate for this region is not available. Baltic Sea Fair 167,216 (SCANS-II = 50,507, CODA = 116,709)* Project Report: Review of Trend Analyses in the AS [more] The population size estimate is based on data collected during SCANS-II (2005) and CODA (2007) surveys. See the previous Trend Analysis document for more details. SCAN-II and CODA reports can be found in the additional notes section. Common dolphin abundance was concentrated off the coast of Ireland, in the Celtic Sea and western Channel, and the coasts of Spain and Portugal. *Note: the estimated population size is for the whole survey area and not just for the Central East Atlantic. The separate estimate for this region is not available. English Channel Fair 14,300 Project Report: Review of Trend Analyses in the AS [more] The population size estimate is based on data collected during SCANS-II (2005) and CODA (2007) surveys. See the previous Trend Analysis document for more details. SCAN-II and CODA reports can be found in the additional notes section. Common dolphin abundance was concentrated off the coast of Ireland, in the Celtic Sea and western Channel, and the coasts of Spain and Portugal. Irish Sea Fair 167,216 (SCANS-II = 50,507, CODA = 116,709)* Project Report: Review of Trend Analyses in the AS [more] The population size estimate is based on data collected during SCANS-II (2005) and CODA (2007) surveys. See the previous Trend Analysis document for more details. SCAN-II and CODA reports can be found in the additional notes section. Common dolphin abundance was concentrated off the coast of Ireland, in the Celtic Sea and western Channel, and the coasts of Spain and Portugal. *Note: the estimated population size is for the whole survey area and not just for the Irish Sea. The separate estimate for this region is not available. A SCANS-II report can be found here: http://biology.st-andrews.ac.uk/scans2/inner-furtherInfo.html and here http://biology.st-andrews.ac.uk/scans2/documents/final/SCANS-II_final_report.pdf. A CODA report can be found here: ttp://biology.st-andrews.ac.uk/coda/documents/CODA_Final_Report_11-2-09.pdf. The notes in the Threat section (Related Content) refer to the level of importance needed to address causes of mortality (identified from post-mortem examinations) of cetaceans in the ASCOBANS Agreement Area. This information also comes from this report: Project Report: Review of Trend Analyses in the ASCOBANS Area (AC18_6-05_ProjectReportTrendAnalysis_Corr.pdf). Bycatch High Importance: Common dolphins die in large numbers in purse seine fisheries in the eastern tropical Pacific and in gillnet fisheries around the world. In the Celtic Sea and Bay of Biscay, it suffers incidental capture in fishing gear from multi-national pelagic trawl and drift net fisheries.In addition to bycatch, they are increasingly threatened by marine pollution, underwater noise and habitat loss.